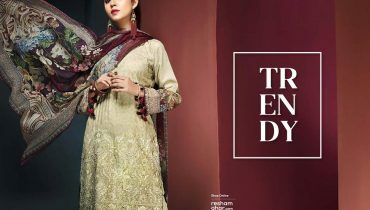 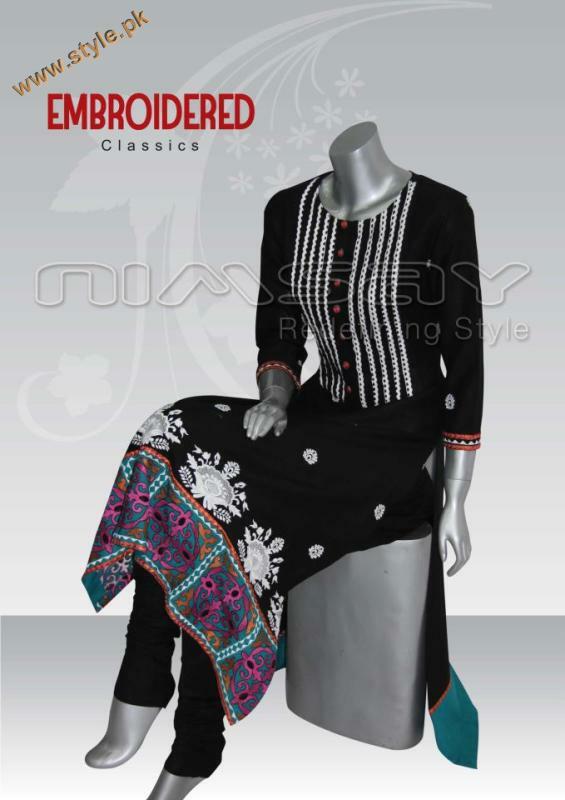 Nimsay is a brand of Nimra Textiles has launched their winter party wear collection 2012.Nimsay has always launched their latest Verve, Cuddles and Parsa collection according to any season.As we know that the season of winter is going on its head and every brand and designer has introduced their winter dresses 2012.So, Nimsay has also introduced their latest winter collection 2012 embellished with embroidery and colors are of course very bright and beautiful.Nimsay embroidered collection for women 2012 has consists of long shirts and frocks with churidar pajams in pure chiffon and cotton fabric.Stay a bit here and check out this marvelous party wear collection by Nimsay 2012.Just see below here..
Nimsay Party Wear Collection 2012 For Women. 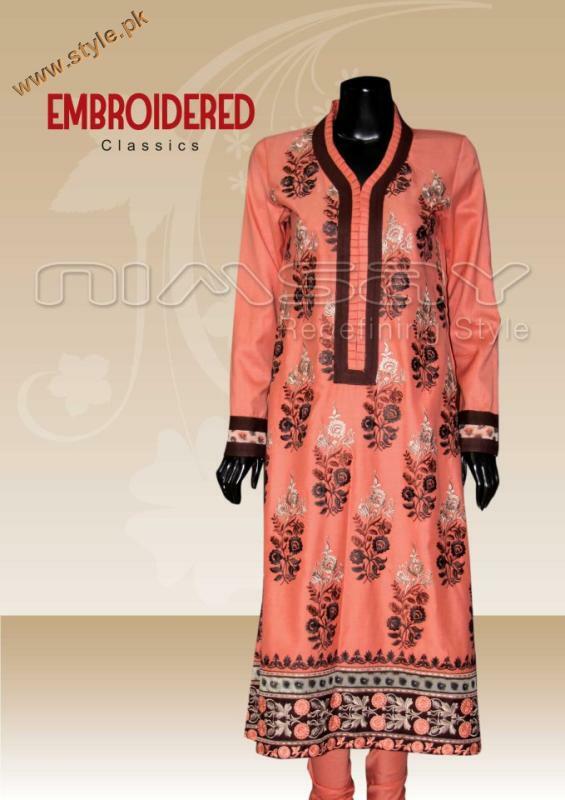 Latest Nimsay Party Wear 2012. 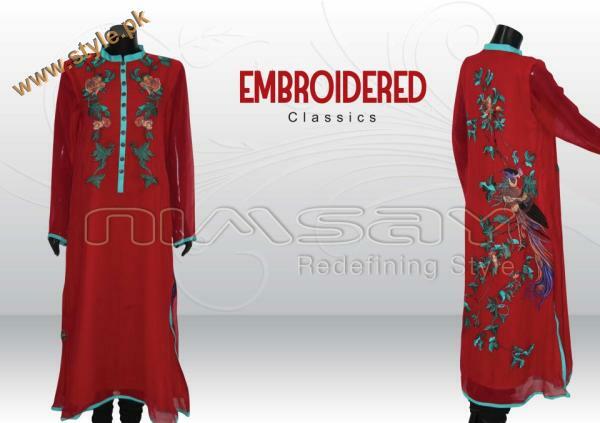 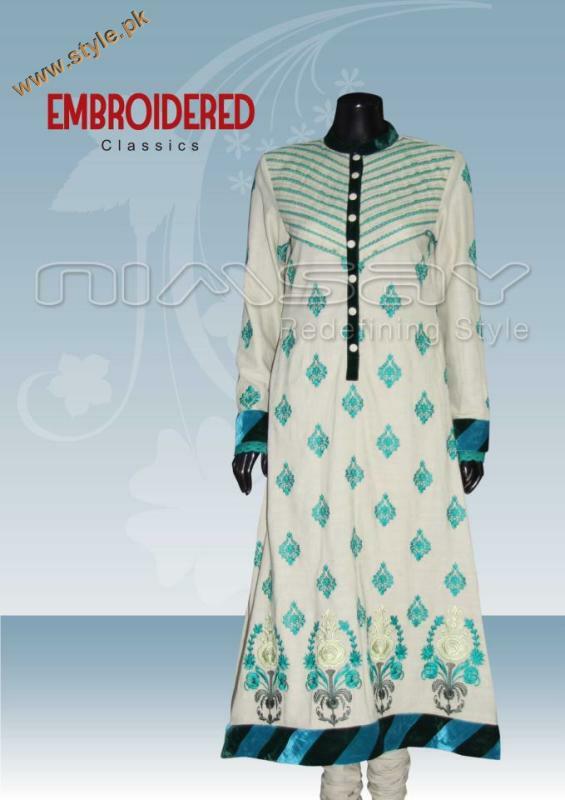 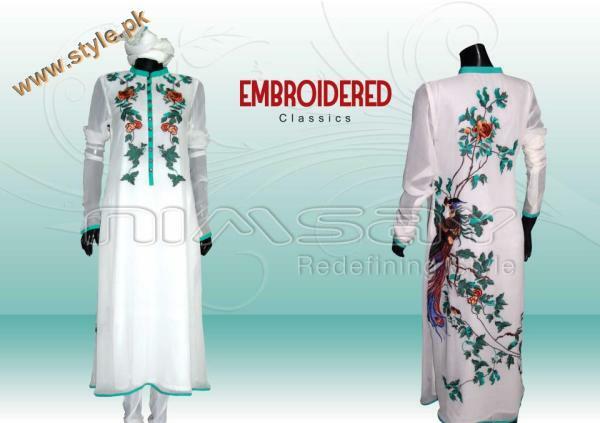 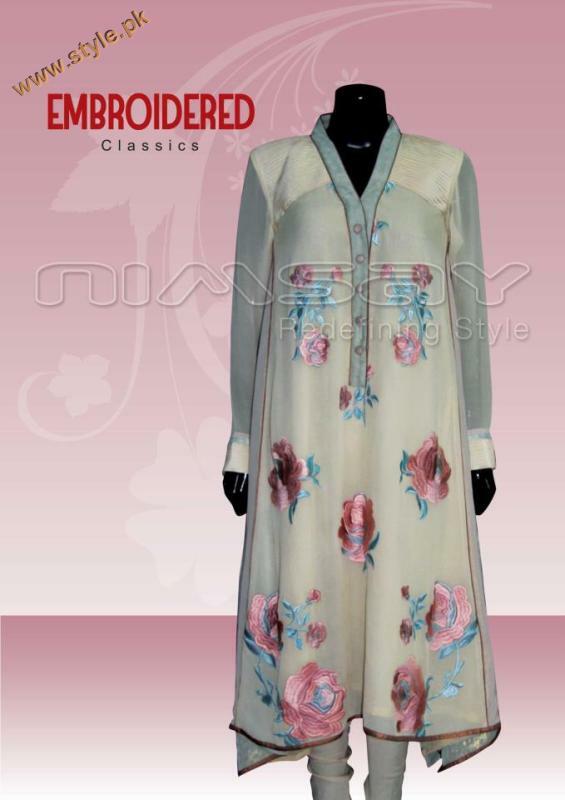 Embroidered Classic By Nimsay 2012.